In the Eurocup 2008 final, held at Spain beat Germany 1-0 on Sunday, June 29,2008. Spain came out victorious, thanks to the goal by Fernando Torres in the 33 minute of the match. Fernando Torres gave the final touch by lifting the ball over German goalkeeper Lehmann, after Xavi gave an intelligent pass. It was interestengily the only goal in the Eurocup 2008 Final. In all the final was quite clean with only exception being Ballack, who declared himself fit right before the game, and Spanish goalkeeper Kuranyi, who were booked with yellow cards after some heated verbal exchange early in the game. shinjini sengupta, a 16-year-old girl from Kolkata developed a serious neurological problem after being eliminated from a reality show. This has been alleged by the parents of the girl, shinjini sengupta. The reality show in question is being aired on a Bengali TV channel. The parents of the girl have also alleged that shinjini developed the disorder after being rebuked harshly by the judges on the reality show. The judges of the reality show, however, have denied the allegations. In fact the doctor who is treating shinjini sengupta too categorically said that “depression” was not the reason of her illness. The judges have claimed that they did not use any harsh word that would upset the girl to such an extent. The judges have also defended themselves saying that comments and criticisms are an esential part of any reality show. Dr Sitangshu Shekhar Nandi, who treated shinjini sengupta before her departure for Bangalore said that “depression” has hardly any role to play in the condition in which she is right now. a role in her suffering for the last one month. He said that “When she was brought to me around 13 June, she was not able to speak, move, swallow and even drink. An MRI scan was done and that showed many abnormalities which made them to doubt whether that was a virus-related brain illness(viral encephelitis). The Dr said that it is a neurological disorder and has nothing to do psychiatry so depression is not the reason for Shinjini's present condition. DY Patil University has announced the results of All India Common Entrance Test 2008 (AICET - 08) for Admission to MBBS & BDS Courses in D Y Patil University Pune. The students who had appeared in the entrance test for the MBBS & BDS Courses can obtain their results from the official website of the DY Patil University. The results of EDCET, which was conducted by Andhra University Visakhapatnam, have been announced. The candidates who had taken the AP EDCET 2008 can obtain their result from the website of EDCET (http://www.edcet2008.net/). The website also provides a list of Toppers in Ed. CET - 2008 along with the general EDCET result. You can also get the Ed. CET Key - 2008 and Ed. CET Final Key - 2008 on the website. Tripura University, Suryamaninagar has announced the results of B.A, B.Sc, B.Com Part-I (Pass & Honours)-2008 exam for the academic session 2007-08. The students who had appeared in the annual exam 2008 can obtain their results from the official website of Tripura University, TU. Cochin University of Science and Technology (CUSAT) conducted the CAT 2008 (Common Admission Test) 2008 recently. The CAT key for various subjects has been declared and the CAT Keys are available on the official website of Cochin University of Science and Technology (CUSAT). For the CUSAT CAT 2008 results, you can log on to www.cusat.ac.in and see the information yourself. All the best! Field Marshal Sam Hormusji Framji Jamshedji Manekshaw died late Thursday night. general manekshaw was being treated in Military Hospital in Wellington, Tamil Nadu. Field Marshal Sam Manekshaw was 94. It was Sam Manekshaw whose military exploits in the 1971 Indo-Pak war led to the creation of the present day Bangladesh. Gen Manekshaw was admitted in the military hospital for "progressive lung disease", had gone into coma earlier on Thursday and he breathed his last at 00:30 am. 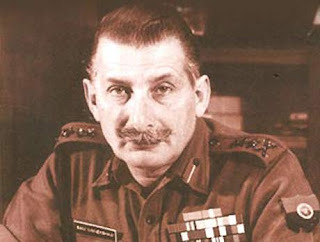 Sam Manekshaw had been diagonised with "acute bronchopneumonia with associated complications" and was under intensive care for four days after his condition became critical. Sam Manekshaw, who had earned the sobriquet "Sam Bahadur" from soldiers of the 8th Gorkha Rifles, was one of the 40 cadets of the first batch that passed out from the Indian Military Academy (IMA) in Dehradun. Like any other academic year, this year also students are eagerly awaiting the DU cut off list. The process of Delhi University admissions 2008 began about a fortnight ago and since then the student community is abuzz with speculation about DU cut off list. Science has been announced and can be seen at the official website of delhi University. You can access DU cut off from here. The official DU site says that for more details, the students are advised to contact the respective colleges on or after Thursday, 26th June, 2008. Board of Secondary Education, Orissa that conducts HSC exam has announced that the Orissa HSC results 2008 will be declared on 25th June at 11:00 Hrs and will be available on official website of Orissa results: http://orissaresults.nic.in/. The central Bureau of Investigation (CBI), which took the investigation of Aarushi murder case a few days back, quizzed the NOIDA police on Friday, June 20. To find the main motive for the brutal murders of teenager Aarushi Talwar and her domestic help, the Central Bureau of Investigation (CBI) Friday questioned the NOIDA police, which has been charged with botching up Aarushi murder probe. The booming retail market in India has lured many of the big business houses. It is, now, the turn of the realty major, Parsvanath to venture into the growing retail business in India. The announcement regarding this venture was made by the chairman of Parsvnath Developers Ltd.
A fake currency racket was busted here in Hyderabad, the capital of Andhra Pradesh, after police arrested four people and seized counterfeit currency notes with a face value of Rs.3.6 million. This currecny racket is believed to be the biggest in Andhra Pradesh in recent past. The investigations are on to find more links. Madhya Pradesh (MP) higher education department recently declared the results of Guest Lecturer in the session 2008-09. The results/list of the guest lecturer merit list can be obtained from the official website of the Madhya Pradesh (MP) higher education board. JEXPO 2008 result (merit list) of Joint Entrance Examination (JEXPO-2008, which was conducted by the West Bengal State Council of Technical Education (WBSCTE0 for admission to 45 polytechnics in west Bengal, has been released. It can be viewed on the official web site of the West Bengal. MTNL launches iControl ipTV service in Delhi and Mumbai. AKSH Optifibre Ltd. is the company that has launched icontrol brand in Delhi and Mumbai in association with MTNL. icontrol service provided by Aksh and MTNL is an IPTV based television connection that enables consumers to watch the TV programs they wish to view at their own convenient time. icontrol offers 120 channels, 200 movies on demand with rewind, fast forward and pause option. The most attractive part of icontrol is that icontrol works without COMPUTER, INTERNET, BROADBAND and DVD PLAYER. icontrol subscribers can replay Live channels and view thier favorite program through Time shift TV. icontrol will let you do interactive gaming, messaging on television which are not available on cable and DTH. There is a misconception that for viewing IPTV, broadband and PC is necessary. You need not have any computers, special hardware or technical knowledge. Get the latest information on the CG PMT result 2008. The Chhattisgarh PMT results are about to be announced any time. Keep looking at this spsce for the latest news on CG PMT results 2008. The Punjab University Chandigarh has announced the results of various courses for the academic year 2007-2008. You can gobtain information on Punjab university results 2008 on the official website of the Punjab University. Sucheta Anand, who too worked as airhostess for Indigo Airlines, was found hanging from a fan at Palm Grove hotel at Juhu on June 7, 2008. Sucheta Anand did not leave any suicide note at the place of suicide. The hotel room where she committed suicide was hired by the Indigo airlines for its employees. The Sucheta Anand suicide case took a new turn on Thursday when the police arrested Arjun Menon (28), a pilot working with Indigo Airlines. When the airhostess committed suicide, many believed Sucheta Anand (25), was disturbed because of a troubled marriage. Anand had separated from her husband and was living with her parents in Delhi. Pilot Arjun Menon is a divorcee and live is Powai, Mumbai. On the day of suicide, Menon, is said to have spent nearly the whole day with Sucheta Anand at the hotel room. Police says that Menon got into an argument with Sucheta which may have prompted her to commit suicide. Menon is said to be a close friend of Sucheta Anand and was with her from 3 am to 6 pm on June 7. Sucheta Anand committed suicide within an hour after Arjun Menon left the hotel room. To get the latest information on Allahabad University (AU) results 2007-2008, you can browse the official website of Allahabad University. You can find information on results of various courses such as BA (I, II, III), BCom (I, II, III), BSc (I, II, III), MA, MSc etc. The much awaited film of the year, jaane tu ya jaane na songs will be released shortly. People all over are eagerly awaiting the release of jaane tu ya jaane na songs and some of them have even started searching for mp3 of jaane tu ya jaane na songs oon internet. For all those who are looking to download free jaane tu ya jaane na mp3 songs, i am giving the link of the promo video of the film jaane tu ya jaane na. After disclosing its tie-up with Apple for bringing iPhone 3G in India, Bharti Airtel and Apple on Wednesday extended their partnership to launch the 3G version of iPhone in India, for which booking has already begun. The customerswho book iphne with Airtel will able to purchase iPhone 3G at Airtel Relationship Centers. Airtel has still not announced the details of iphone price in India and its availability, whiach will be announced later. The third generation (3G) iPhone comes with all the features of the existing iPhone with 3G networking, which two times faster than the earlier version of the iPhone. The new 3G iphone has built-in GPS for expanded location based mobile services. Ranbaxy India is all set to sell 34.8 per cent stake in Ranbaxy Laboratories Ltd to the Japanese Pharma firm, Daiichi Sankyo Co. After buying the 34.8 per cent stake, Daiichi Sankyo will have to make a purchase offer of an additional 20% from the ordinary shareholders of Ranbaxy. The deal will help Daiichi Sankyo to hold a controlling 51 per cent stake in Ranbaxy, the Indian Pharma company. The deal will cost Daiichi Sankyo $4.6B. It is the biggest takeover deal in the history of Indian pharma industry by an international company. The promoters of Ranbaxy Pharma, Malvinder Singh and Shivinder Singh, will keep about 26 per cent stake in the firm but it would mean the complete exit of Ranbaxy promoters from the company. This multi-billion Daiichi Sankyo- Ranbaxy deal created A positive MOOD in the market and as many as 863 shares have advanced. Folowing the footprints of his Bollywood bretheren, Ram Gopal varma has also jumped into the world of blogging. And, it is really great for both, the fans as well as the thinking director who has a panache for making films out of box. In his blog, Ram Gopal Verma gives very interesting reasons for starting the blog. Ramy says there were two main reasons that took him so long to start a blog: one was his illeteracy about internet and the second is he vever cared to. But the thought of trying at least once and let his fans and critics ask questions, take digs, to ridicule and tell him how much they loved or hated his films, made him to start the blog. Here, RGV takes a dig on various film critics like Khalid Mohammed, Deepa Gahlot, Gaurav Malini, Rajeev Masand, Subhash K Jha, Raja Sen, and answers all the points they had raised in their analysis of Sarkar Raj. It is quite interesting stuff! My Take On Sarkar Raj and pictures of Sarkar Raj. The 54th National film Awards were announced on Tuesday. The popular Bollywood flick Lage Raho Munnabhai bagged four awards while Konkona Sen Sharma got best supporting actress for her brilliant performance in "Omkara" and Madhur Bhandarkar won the best director award for his film Traffic Signal. Lage Raho Munnabhai, directed by Rajkumar Hirani's, was announced the best wholesome entertainer of the year. Dilip Prabhavalkar got the best supporting actor award for Lage Raho Munnabhai. Kabir Khan's Kabul Express won the Indira Gandhi award for the best first film by a director while Vishal Bhardwaj received the special jury award for his great direction in Omkara. The National Award for best feature went to the Malayalam film Pulijanmam. The veteran Bengali actor Soumitra Chatterjee received the award for best actor for his role in the film Podokkhep while Priyamani received the best actress award for the film Paruthi Veeran. Barack Obama, the likely presidential nominee of Democratic party is seeking the blessings of Lord Hanuman in his battle to win presidential elections of United States of America..
Barack Obama, the 46-year-old senator from Illinois, who went past his democratic party rival Hillary Clinton in 17-month long tough electoral battle for Democratic party nomination,is said to be carrying a small monkey god, which apparently represents Hindu God Hanuman, with him for good luck and fortune in his Presidential campaign. Time magazine's White House Photo of the Day collection shows various things carried by Barack Obama that includes bracelet belonging to an American soldier deployed in Iraq, a gambler's lucky chit, a tiny monkey god and tiny Madonna and child. Barack Obama is the first ever Black-American nominee of a major US party for the US Presidential elections 2008. The film Kismat Konnection readies to be released on 18th July 2008 and the search for music and songs of Kismat Konnection has already begun on internet. People all around are searching for free mp3 songs download of the Hindi film Kismet Konnection. Music release of Kismet connection is expected soon and hopefully people can get the songs of Kismat Konnection for free download on internet. The film Kismat Konnections is being Produced by Kumar S Taurani and Ramesh S Taurani and directed by Aziz Mirza. The star cast of Kismat Konnection include Shahid Kapoor, Vidya Balan and Juhi Chawla and Cassettes and CDs will be available on Tips Music Films. Guru Gobind Singh Indraprastha University (GGSIPU) has announced the results of CET 2008 for various courses while The Stage-I of the Common Entrance Test (CET) for the MBBS programme of Guru Gobind Singh Indraprastha University (GGSIPU) has been rescheduled for 3 Pm on June 8, 2008. It is for the first time that GGSIPU/ Ip University will be conducting the CET for its MBBS programme in two stages. You can obtain the IP university/IPU for various courses such as B.Ed., LLM, BPT/BOT/B.PHARMA, MBA, MPT (N&M) etc on the official website of GGS IP University. In the second match of Euro cup 2008, Switzerland went down fighting by a single goal to Czech Republic in the Euro 2008 opener in Group A at St Jakob Park in Basel on Saturday (June 7, 2008). After London, Sun City, Johannesburg, Singapore, Kuala Lumpur, Dubai, Amsterdam and Yorkshire, the ninth edition of the IIFA (International Indian Film Academy) awards have begun in Thai capital city of Bangkok. This edition of IIFA awards at Bangkok began on June 6 at the Dusit Thani Super Luxury Hotel. IIFA has been contributing tremendously to the growth and popularity of Bollywood outside India and is aimed at improving the way in which the films from Bollywood is seen by the International community. It is also an attempt to bring Bollywoods business to unexplored regions and countries. The IFFA awards 2008 were inaugurated by the brand ambassador and Bollywood superstar Amitabh Bachchan in the presence of Thailand Sports and Tourism minister, Khun Weerasak Kowsurat and the Indian Ambassador Latha Reddy. Amitabh Bachhan said that IIFA is very special to him and the film industry and the Bollywood is committed to intensify the IIFA phenomenon every year. The IIFA awards 2008 is a three day long celebration of Bollywood Cinema and is designed to highlight on not only the business aspect but also the changing face of Hindi cinema and issues lie concern for the environment. In the Arushi Talwar murder case another police officer was shifted on Sunday. Arushi Talwar was found murdered in her NOIDA home on Friday. The police officer had said that a sharp-edged surgical instrument was used to slit the throats of the girl Aarushi Talwar and her servant Hemraj and that both were killed at around the same time. Kavya Madhavan, Malayalam Actress, has incurred controversy as her name has come in investigations into the illegeal activities of a self-proclaimed swamy in Kerala. The self-proclaimed Swami, who is a management graduate, was arrested by the police after a number of female devotees complained that they were drugged in the ashram of the Swamy and then under the influence of drugs they were made to act in blue films. It is being said that some popular film and TV actresses are also victims of swamy in this blue film racquet. The name of Kavya Madhavan is also coming into light but it is very early to say anything unless the truth comes out. The question-- how far Kavya Madhavan is involved, still remains answered. Ever since Sarkar Raj has released, people all over the internet have been searching for websites that can let you watch Sarkar Raj online for free. Sarkar Raj, directed by Ramgopal Verma, is sequel to his previous blockbuster Sarkar. Internet is abuzz with queries and searches such as watch sarkar raj online, free download Sarkar Raj Hindi film etc. The cast of Sarkar Raj Hindi film includes Amitabh Bachchan, Abhishek Bachchan, Aishwarya Rai, Govind Namdeo and others. Sarkar Raj has been produced by Praveen Nischol and directed by Ram Gopal Varma while the music has been scored by Bapi-Tutul and t Sarkar Raj lyrics have been penned by Prashant Pandey and Sandeep Nath. Here is the list of Sarkar Raj songs. Lots of queries are also being put for free download of Sarkar Raj film songs. Euro cup 2008 begins on June 7, 2008. here is a match schedule of Euro cup 2008. Maruti Suzuki India has launched Maruti 800 Duo, which runs on petrol as well as Liquefied Petroleum Gas (LPG). Besides the Maruti 800, the company already offers Omni and WagonR in dual fuel options (LPG and petrol). Maruti Suzuki India is the only manufacturer to offer alternate fuel/CNG vehicles across entry, compact and commercial segments of Cars. The new Maruti 800 variant, Maruti 800 Duo is manufactured at maruti's Gurgaon plant. The components of the Maruti 800 variant are fitted along side the petrol variant, which ensures excellent quality levels. According to Maruti Suzuki company officials, the new Maruti 800 Duo undergoes all quality checks (like other models) as per Maruti Suzuki quality standards> it is then rolled out from the Suzuki assembly lines. The factory-fitted Maruti 800 Duo comes with full warranty benefits, available on other Maruti Suzuki car models. Maruti 800 Duo will, thus, certainly has the benefits of lower running cost with authorised LPG kits. The new version comes in a range of five colours. The results for LAWCET entrance test conducted by Acharya Nagarjuna University have been announced. The LAWCET results have been announced for THREE YEAR and FIVE YEAR courses. National Council for Hotel Management (NCHMCT) has announced the results for All India Joint Entrance Examination (JEE 2008) which was held on on 10th May 2008. The JEE was held for admission to 1st Year of 3-Year B.Sc. course in Hospitality & Hotel Administration in various affiliated Institutes of Hotel Management for the academic year 2008-09. Manjunath Kalmani, the software engineer who had suffered accident in the United States, died at at Safdarjung Hospital in New Delhi on Wednesday. For the last few days Manju Nath Kalamani was not keeping well. Manjunath was paralysed from neck downwards as a result of a spinal cord injury after a car accident in 2002 in the USA. He was brought to Indian 3 months ago in a critical condition. The son of a farmer from Karnataka, Manjunath left home eight years ago, in the hope of changing things for his family and got a job with an American company, weather.com. Later, due to downward spiralling of economy Manjunath was laid off but the car accident in May 2002 changed his life for ever. Driving back home from Nashville, his car went out of control and crashed into a tree. This resulted into a badly injured spine. Following a brain stroke and an emergency operation, Manjunath was paralysed neck down and he barely moved or spoke. Kakatiya University has announced degree (B.A., B.Com, B.Sc., and B.B.M Annual-2008 Examination Results) results for the academic year 2007-08. You can obtain the degree results of Kakatiya University by visiting the official website of the KU, Warangal, Andhra Pradesh. The Under Graduation (UG) Annual Exam-2008 results of KU, Warangal were declared by the Vice-Chancellor Prof. N. Lingamurthy on 04-06-2008.
the results of AIEE (All India Engineering/Architecture Entrance Examination) 2008. The results of AIEEE 2008 are available on CBSE's website, www.cbse.nic.in and www.aieee.nic.in. The students who have qualified the entrance examination are eligible for admission in various National Institutes of Technology, Indian Institutes of Information Technology (IIIT) and other Deemed Universities. The entrance test for AIEEE 2008 was conducted on April 27 across India and abroad. Gautam Berry is the first husband of Kirron Kger, wife of Anupam Kher and mother of Sikander. Last Friday, Sikander Kher made his debut in the Hindi film industry with Woodstock Villa and people were surprised to see Gautam Berry and some even enquired who he was. Kirron and Gautam berry seperated in the year 1985 and then Kirron got married to Anupam Kher. It is interesting to note that the whole Bachchan family was present for Woodstock Villa's premiere on Thursday night. It is definitely a rarity since the whole family hardly attends a premiere in which one of the Bachchans is not involved. However, it was revealed by Sikander himself that there's a much deeprer link between Sikandar and the Bachchans. Sikander told the media that his dad Gautam Berry, Amitabh Bachchan and Ajitabh Bachchan were business partners in ABCL and their families shared everything since then. Sardar Patel University (spu), Gujarat, has announced the SPU Results for the academic year 2007-2008 for various courses. Results of the following courses have been announced. Hindus are celebrating Shani Jayanti on June 3, 2008. Shani Jayanthi is the celebration of the birthday of Lord Shani/Sani. Lord Shani is one of the Navagrahas and is dreaded by thousands having faith and belief in astrology. According to the believers of this thought, Shani can create havoc in their life. Shani Jayanti celebration is marked by Shani yagya or homa. People with Saturn cycle or Sani cycle / Sade sathi in their horoscopeis perform Shani yagya or homa to please Lord Shani on this day . According to many, Saturn cycle can be a reason for the bad patch or ill fate in their life. It is with this thought people pacifying Sani for Shani shanti for betterment in thier life. The builders of Magarpatta City, Magarpatta Township Development and Construction Company Limited have announced the launch of a new township project called Nanded City Pune. Nanded City township will be a 700-acre project situated on the Pune-Sinhagad Road, and will be built at a cost of about Rs 9-10,000 crores. Nanded City will have an animation and gaming park which will be spread over 40 acres. The new Magarpatta project will have a commercial district, residential district, amenity district and a destination centre. The Magarpatta Township Development and Construction Company Limited says that the houses will be affordable for middle-class citizens as they will be constructing around 4,500 and 5,000 1BHK apartments. The commercial part of the township will have offices for the animation and gaming industries, shops, commercial office space, malls and a multiplex while the residential part will have one, two, three and four-bedroom houses, studio apartments, villas and penthouses. The amenity district of nanded city will have educational institutes, hotels, gyms, a recreation and a sports centre, food-courts and other lifestyle avenues. The township will also have facilities such as solar water heating, rainwater harvesting, solid waste and sewage management, a biogas plant and vermiculture. Rajasthan University (UNIRAJ MCAAT) results have been anoounced. The entrance exam for MCA were recently conducted by University of Rajasthan. You can obtain the MCAAT (MCA ADMISSION TEST- 2008) results at the following official website of the University of Rajasthan. NIMCET (NIT MCA Common Entrance Test 2008) results have been announced. The entrance test for the NIMCET (NIT MCA Common Entrance Test 2008) was held on the 18th of May, 2008. The NIMCET or NIT MCA Common Entrance Test is a National Level Entrance Test conducted by NITs for admission to their MCA programme. You can obtain your NIMCET2008 results on the official website of the NIMCET. The counting of votes has started for the by-elections held for four Lok Sabha and 18 assembly constituencies in Andhra Pradesh the elections for which took place on Thursday. As stated bt the TRS chief K Chandrasekar Rao, the Andhra Pradesh byelections are sort of referendum on the Telangana statehood issue. It is interesting to note that the by-elections for Lok Sabha and assembly are taking place less than a year before Andhra Pradesh goes to polls in 2009. This was a forced by-election as four Lok Sabha members of the Telangana Rashtra Samiti and 16 of their MLAs had resigned in March. The Andhra Pradesh byelections are an acid test for Telengana Rashtriya Samiti, led by K Chandrasekar Rao, which has been leading the telengana statehood movement since 2001. TRS thinks that it will win their seats to prove their prowess to the UPA leadership and prove that there is a strong Telangana sentiment which the center needs to recognise. Toya Chatterjee, a student of Indian Institute of Technology (IIT), Kanpur committed suicide by hanging herself from the ceiling on Friday (May, 30). It is being said that poor performance drove her to the point of suicide. Toya Committed suicide hours before the 40th annual convocation of the institute. Toya Chatterjee was a fourth year student of B-Tech (Biological Sciences) and a a resident of Kolkata. Toya was found hanging from the ceiling in her hostel room by her father., Assistant Registrar K V Satyamurthi said on Saturday. Toya had failed in two subjects and had not informed her parents about it while her father had arrived in Kanpur to attend the convocation ceremony. Chatterjee's father found her daughter dead in her room when he came to meet her on Friday night.